Ketzler&apos;s Schnitzelhaus & Biergarten brings this traditional German festival right to the heart of Granbury, Texas on October 11-13, 2019. 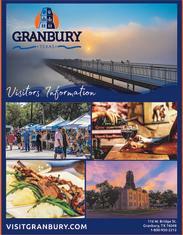 Head to the Historic Granbury Square to experience German fare, food, music, vendors and drinks, of course! This festival grows year after year. Plan that Granbury getaway you&apos;ve been thinking of right around the annual Oktoberfest.